Do you have pain during swallowing? Do you have a nagging persistent pain during neck movement? Do you have a foreign body sensation in throat? Does your pain refuse to go away in spite of various medicine? Did your doctor tell you it’s not your tonsil? Did your doctor talk to you about Styloid process pain? Styloid process, in this case, refers to a long slender stylus like bony projection from the temporal bone. Everybody has a Styloid process in each of, their temporal bones.One on each side of the head.That’s perfectly normal.But everyone doesn’t have pain! WHAT EXACTLY CAUSES STYLOID PROCESS PAIN? Fortunately most people don’t ever realise the existence of their Styloid process.It’s only when a mysterious pain occurs on the throat/neck that the Styloid process becomes the favourite diagnosis. If you are reading this , it’s likely you know somebody who has this problem.Or you suspect you have this problem. Only 4% of the general population has enlarged styloid process.Among these, people with orofacial pain due to Styloid process can be seen in about 4 to 10%. But even among these, people with orofacial pain due to Styloid process can be seen in about 4 to 10%. 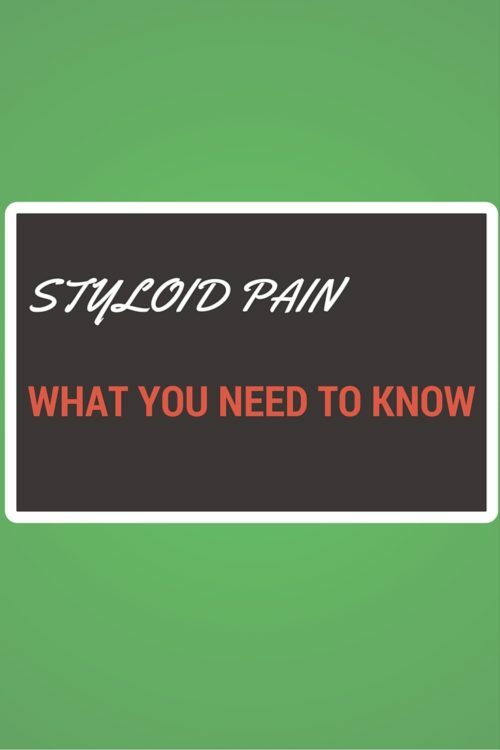 Females are 3 times more likely to have stylalgia than males. Stylalgia can present as tonsillar pain, facial pain and the is an important part of the differential diagnosis of orofacial pain , due to an unknown cause. On palpation of the tonsillar fossa of the affected side, there is a pain. WHY DOES STYLOID PROCESS PAIN OCCUR? Stylalgia occurs due to compression of the sympathetic nerve bundle around the carotid vessels. The enlarged Styloid process or calcified Stylohyoid ligament causes this neuralgic pain. It’s a pain, due to the “nerves crying”. WHAT ARE THE TESTS YOU MAY NEED FOR SUSPECTED STYLALGIA? Orthopantomography: That’s an X-ray of your mandible, maxilla and all your teeth, which also shows the Styloid process. Your doctor will measure the length of Styloid process,on X-ray. If it’s causing pain it’s generally equal to or more than 20mm. Confirmation of diagnosis may be done by intraoral lignocaine injection .Lignocaine is a local anaesthetic agent.It’s injected into the tonsillar fossa to sedate the nerves around the Styloid process. If the pain is due to nerve compression , this test is positive and pain is relieved. This test is generally performed before going for surgery. A CT scan is a good tool preoperatively. It gives a good estimate of size , angulation and relation of the Styloid process with other structures. Depending on the position of the styloid process ,a tonsillectomy(the tonsil gland of the side with enlarged Styloid process is removed) may be needed to approach the Styloid process intraoperatively. The Styloid process is the surgically removed with due precautions. However if not willing for surgery immediately, some medical management maybe tried. Under a doctor’s supervision, a trial of Carbamazepine , may be started. This is a popular antiseizure drug often used in nerve pains.The dose and duration of the drug needs sensitive titration. But since this drug has some pretty , serious side effects. Several blood tests like Haemoglobin , CBC, peripheral smear,liver function test, need to be done , before starting the drug . Carbamazepine , should strictly be taken under a doctor’s prescription after the blood tests. WHAT TO DO AFTER SURGICAL REMOVAL OF STYLOID PROCESS AND YOU ARE AT HOME? Maintain oral hygiene by frequent gargling. Have soft, semi-solid, cold diet. Avoid heavily spiced oily food. In the case of increasing pain in the tonsillar region, fever, blood specks during gargling, consult your surgeon urgently. Did you ever suffer from foreign body sensation in the throat? What did you do? Write to me below in the comments and share your story. Disclaimer: All information provided here is meant to help you live healthier and is only for educational purpose and is in no way a substitution for a professional medical advice.Your empowerment through knowledge is my only wish.Live well, take care. I was recently diagnosed with Eagle Syndrome. Found on CT. I’ve had a long list of symptoms for 10 years or more, all which have been dismissed by doctors. This time however, I payed a visit to the ER for severe neck pain and a CT was ordered to rule out a herniated disc. The ER doc and radiologist returned with the diagnosis of Eagle Syndrome. He said he had never heard of it or seen it before. He suggested I follow up with a “GOOD NEUROSURGEON” I am at a loss to who I should see. I can’t seem to get a phone call back from any of the Doctors I’ve reached out to in my area.I’ve been told I may need to travel to find someone with experience. Can you offer any advice? If it’s Eagle’s syndrome,just the radiological test is the first step to diagnose. Some pain specialists or ENT surgeon may inject a combination of anesthetic medicine and steroid in that region in an OT and see whether pain is relieved. An elongated styloid causes several symptoms also due to the nerve compression. Once you feel better with the injection a confirmation of diagnosis is probable. Then a decision for removal of the stupid process will need to be taken. Surgery done by Otorhinolaryngologists(ENT surgeon). A neuromedicine specialist may also be helpful for starting medicines. Overall it’s a complex diagnosis and there’s always hope. Your three year old found what? I have had a sore throat for a year, a scan showed I had a slightly elongated styloid. Would thus cause the throat pain? Yes it can.But confirmation will need an ENT doctor to do a checkup. Very interesting post! I have a problem swallowing and have a “clicking” sound when I do unless I turn my head to the left, but don’t have styloid (that I know of). I had a mini stroke in 2009 and it affected my swallowing. But I’m hanging in! I have a styloid process on both side, i am suffering from pain on both the side since last two year, please advice me best doctor name , who can treat me. Mam,, I have styloid process in right side. I have taken medicine before 2 month. now I have feel little slowly paid over there. Let me know if I don’t want to surgery right now then there is a chance to get any infection over there. Can I wait for hard pain over there. thanks..
we all have styloid processes on both sides.When it causes pain it’s most commonly due to an enlarged styloid process pressing on a nerve.You may consider consulting an ENT specialist in person at a Government medical college near you for a full examination. I do not feel any pain. If I do not go for any surgery or any treatment. Then What could be the problem in the future ? There may be feeling of something stuck in that area or a low-grade pain.But again you may never have any complaint.Treatment needs to be symptomatic and tailored to a person and cannot be generalized.Hope this helps.Keep visiting. I have styloid process problem I am suffering before one year with this pain and finally, I confirmed by ENT Dr this is the styloid process problem and Dr told me to need to surgery for remove the bone so I want to know you. what can I do now? The problem with neuralgia is that they are not easy to treat.That’s the simple truth.Some people undergo a trial of local injection of anesthetic drug under doctors advice before undergoing surgery.That helps to determine to some extent the role of the irritated nerve pressed by the enlarged styloid.Now whether this nerve will behave after the styloid is removed is a 50 /50 chance..But my experience is limited.The care is best adviced by your treating surgeon.I hope this helps. This is the first time I am hearing about styloid process pain and luckily I do not have any of the symptoms. This is a lot of good information for those suffering from it. I have never heard of this before. Thanks for sharing this information and detailed description. Oh wow I’ve never heard of this type of pain before. Neck pain has always been an issue of my grandmothers and I’m willing to bet she’s never heard of this either. I can’t wait to share this post with her! Thanks for the great post. I must admit that I’ve never heard about Styloid process pain before reading your post. It’s interesting to know that everybody has a Styloid process in each of, their temporal bones. One on each side of the head. Fortunately everyone doesn’t have pain and most people don’t ever realise the existence of their Styloid ! I’ve never heard of Styloid Process Pain. But now I’m more aware of it if I ever experience any of the symptoms you posted about. Thank you! Wow, I’ve never heard of this before either. Thank you for the knowledge and resources. I have never heard of styloid process pain until now and thankfully have never experienced it. I’m glad I am now armed with more information. Thanks!